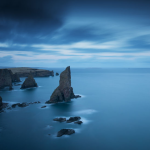 GlenAllachie – The New Age of Whisky? Billy Walker owned, developed and recently sold the distillery group comprising BenRiach, GlenDronach and Glenglassaugh. 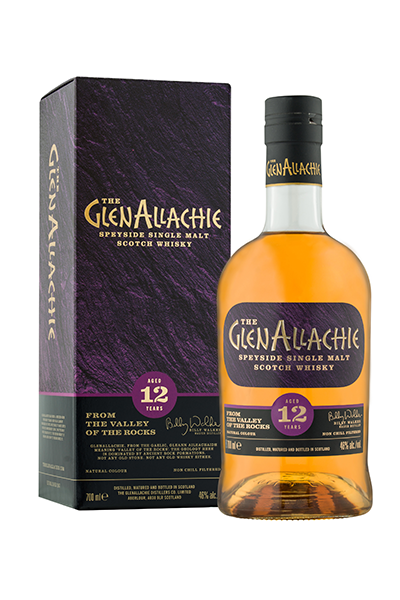 GlenAllachie Distillery became available for purchase. 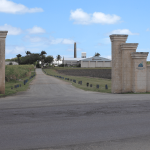 It is a Distillery producing highly regarded malt used extensively in blends with stocks going back to the 70’s which Billy believed deserved to be marketed on its own quality. What would he do next? Perhaps get some friends and colleagues he respected and buy out the ‘big boy’, in this case, Chivas Brothers the whisky arm of Pernod Ricard. This reversed the trend of the ‘big boys’ buying the small distilleries. This is exactly what Master Distiller Billy Walker, Trisha Savage and Graham Stevenson have done, setting up as an independent 100% Scottish managed distillery. 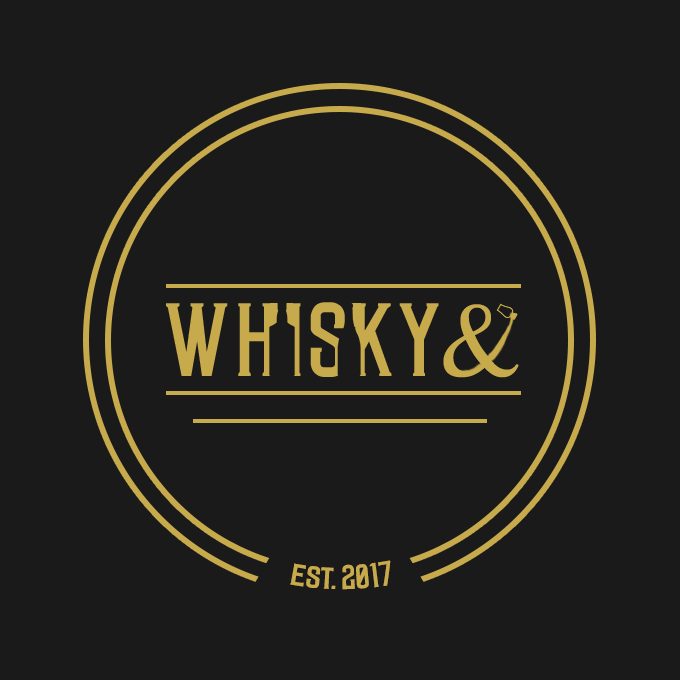 Furthermore, the trio followed their conviction producing quality traditional Scotch by developing a full range of age statement malts non-chill-filtered and no colour added. Their new range offering a more traditional profile bottled at an ABV to promote the flavour profile and matured in well-chosen barrels challenging the long-standing Speyside classics. Heralding a New Age, we hope. This week’s classic tweet tasting with @tweettastings and @thewhiskywire of the new range promised a revelation with a new Speyside hidden gem. 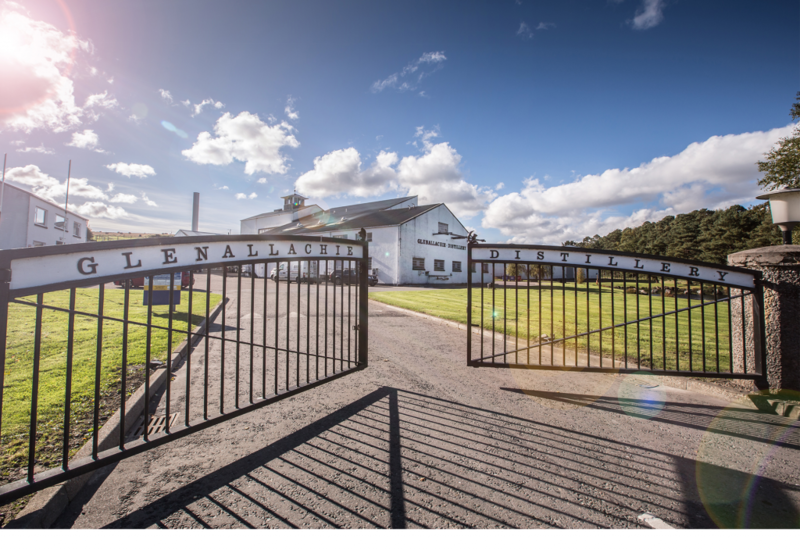 The whisky fans and bloggers across Europe gathered online to sample these malts and give their views on whether GlenAllachie’s bold promise was delivered. So here they are …. did they deliver? First the 10-year-old cask strength. I love cask strength whisky and admire how the best of them showcase the whisky, highlighting the spirit quality supported by the cask. This maintained that approach. Nose: Beautiful fresh spirit led, vanilla, old-fashioned comb honey smooth and sweet, slight wood a bit of the beeswax, strong fudge notes, hint of orange peel. It took a long while for the spice to emerge but it was there. On the palate: Smooth toffee, buttery, citrus fruit, the strength brings flavour but masks nothing. Layers of pepper and ginger and cloves. I love how the barrel notes showcase the spirit just like whisky used to be. At first, I thought this a great winter dram but that would stop me savouring this delight all year round. On the nose, it is floral with smooth tasty, notes of buttery boiling sweets, crème brûlée and vibrant black cherries. Water doubles the aroma sensation but no more than a drop. On the palate rose Turkish delight chocolate bar, then buttery honey, summer fruits, a hint of iced pastry vanilla and nutmeg. I am going to speculate without any confirmation. I would say from the taste profiles that Billy Walker has dipped into the aged stock in all of thes expressions to deliver these traditional profiles. A complete grown-up whisky. Nose and palate are exceptional. The nose offers More much more even without water on the darker side of their flavour spectrum, raisins, dates, malt and butterscotch. Vanilla and nutmeg, a nuttier walnut and almond note. On the palate Honey pure highland heather honey, almonds, hints of lovely slightly sour barrel notes but the spirit holds up its flavour magnificently evolving into more spices, pepper & ginger and fruit, apple and cherry and orange zest, the balance is truly great. I believe that many Speysides are producing poor 18-year-olds at the moment. The GlenAllachie is the exception. This is a glorious malt, potentially a new benchmark. Flavour in abundance what a great whisky. Finally for the 25-year -old. Again too many older Speysides see their fine spirit notes overwhelmed by the wood. Could GlenAllachie continue to buck the trend? The nose gave me an instant hit of eucalyptus evolving to notes of leather, roses, pineapple, marmalade, milk chocolate and panettone. What a beautiful aroma evolving and complex. The Palate was equally striking: highland toffee, ginger and white pepper, dark chocolate, pears and pineapple. Honey, caramelized sugar, well-fired fruit cake, every flavour quite deep but more subtle notes swirl around to add complexity no two glasses would ever be the same. The 48% ABV supports a tremendous new whisky. I chose the 18 as my personal favourite because it is so great compared with its peers but this 25 is a fabulous whisky which I enjoyed in every way. 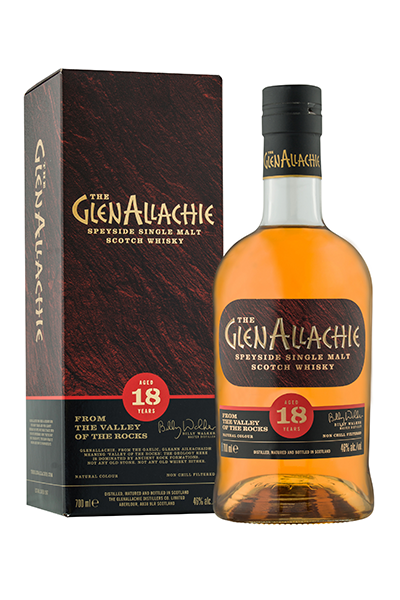 A select group of Speysides especially from the smaller producers are changing perceptions of Speyside whisky and GlenAllachie is going straight into that group I believe. These are all serious whiskies with real age differentiation where the barrel showcases the spirit to perfection. The old order is changing as consumers demand much more. This hidden gem will be widely followed as the flag bearer of a new trend.